Are these vitamins, minerals, or herbs? Exactly what are vitamins, minerals and herbs and how do they differ? Vitamins include a wide variety of organic compounds that are necessary for healthy living - many essential for life itself. They are naturally found in plants and animal flesh. Insufficient amounts of any given vitamin can lead to ailments and disease. For example, scurvy, is a disease characterized by hemorrhages in the mucus membranes, (especially the mouth and lips), softening of the gums, extreme weakness and fatigue, anemia, and hardening of the leg muscles, occurs as the result of an insufficient intake of ascorbic acid, or vitamin C.
Uncommon today, scurvy was common among sailors, until the British discovered that the disease disappeared when they took lots of lemons and limes, (both of which contain high levels of vitamin C), with them on long ocean voyages. 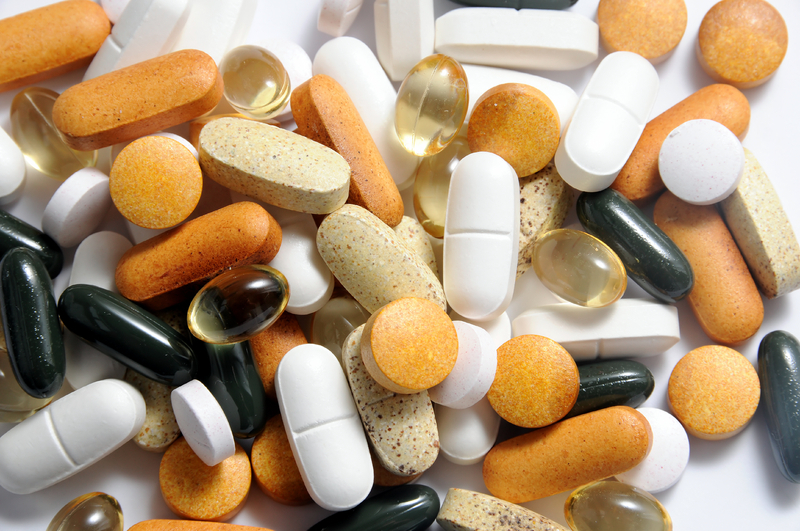 Many vitamins are required in order to complete important chemical processes in the body. Other important vitamins include vitamins A, B complex, Biotin, Folic Acid, pantothenic acid, D, E and F.
Minerals are important for body development, maintenance and metabolism. Unlike vitamins, these are inorganic substances, which are usually found in the earth’s crust. As such, many are also present in plants and animal flesh. For example calcium is a metal abundant in limestone. Calcium is a very important mineral in the body. It is a major constituent of bone tissue, and is a very important factor in blood coagulation. Serious calcium deficiencies will affect countless bodily functions. It is essential for life. Herbs are plants, mainly leafy ones without woody stems. Unlike vitamins and minerals herbs are generally used as natural medicines, often for specific conditions. They were the first medicinal products used by man, dating far back into pre-historic times. Almost every culture developed a unique collection of medicinal herbs. They were an essential part of traditional Chinese medicine, as well as Western folk medicine. Today plant extracts continue to provide substances used in modern medicines. They can be very powerful and some are regulated by the government. For example, morphine, the most powerful painkiller known to man, is an opiate made from the poppy plant. Herbal remedies can be potent and effective when used properly. Some examples of popular medicinal Western herbs include cayenne, lobelia, red raspberry leaf, ginger, golden seal, black cohosh, peppermint, licorice, ginseng, chamomile, and echinacea. Oriental Medicine is emerging as a prominent alternative healing art here in the West. Practitioners can literally make use of thousands of medicinal herbs in the treatment of their patients.